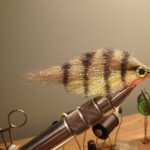 This simple pattern came from an old American Angler Magazine. 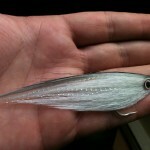 Black dubbing, white e.p. 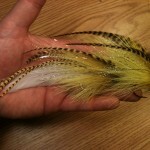 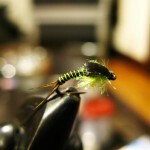 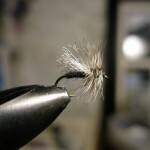 wing, and grizzly hackle make for a nice high riding stone fly. 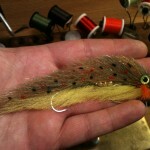 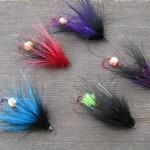 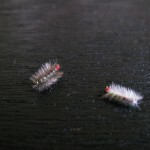 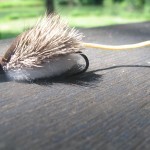 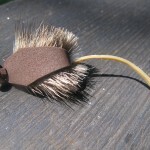 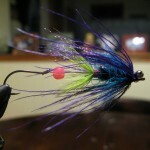 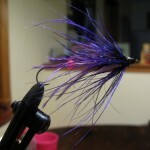 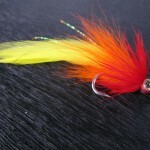 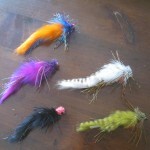 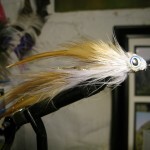 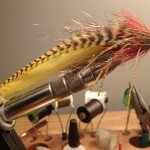 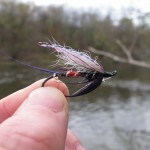 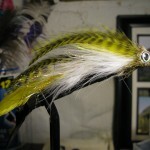 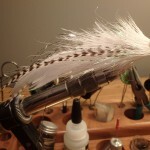 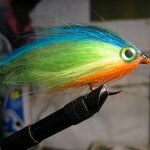 The author prefers sizing up the hackle to make waking and skittering the fly easier. 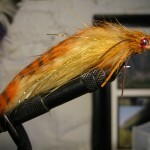 Double zoo cougar. 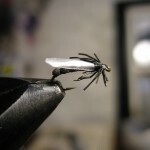 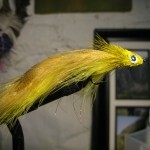 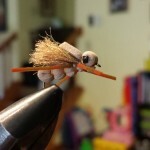 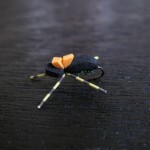 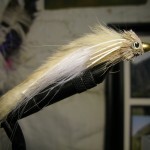 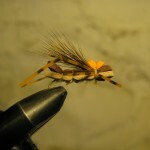 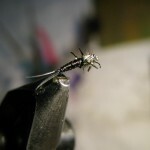 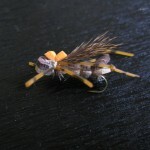 Deer hair heads on jointed flies make for some KILLER ACTION! 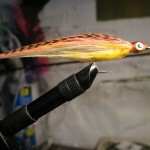 More like a jointed rapala than a fly.